B. Thomas (Arlington, Texas, United States) on 28 September 2018 in Architecture. 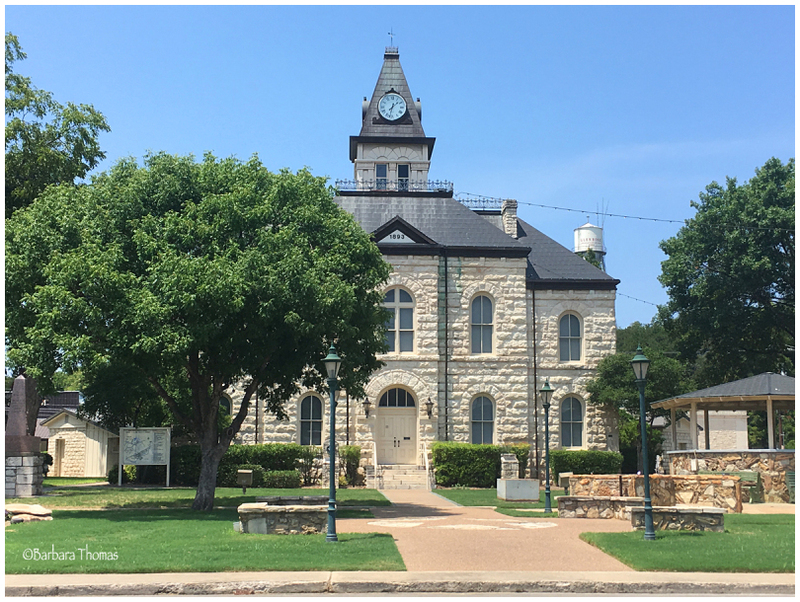 The Somervell County Courthouse is a simple two story structure featuring elements of Romanesque Revival and General Grant architectural styles in Glen Rose, Texas. It was built in 1893, late Victorian style with Native limestone construction. Beautiful composition . I didn't know there is a " General Grant architectural style "...! Superbe cadrage avec cet arbre et quel bel édifice fantastique vue. This is a really good building and looks great with these trees. I like the old street lights. It is fun to see these old structures. A fine image and a very pleasing courthouse.